My maternal great-great grandfather was Robert Patterson Gray (1844-1928). 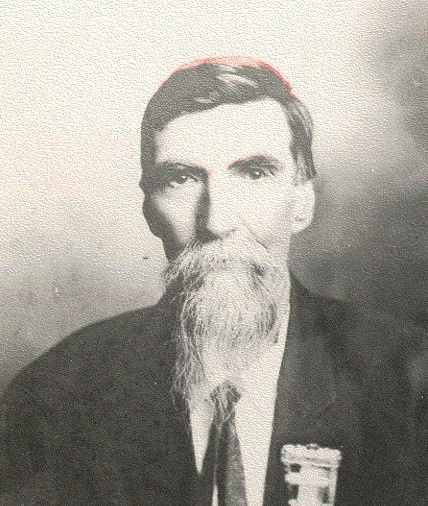 His father, William Sylvester Gray (1816-1879), served the Grand Army of the Republic (GAR) for a time along side Robert’s older brother, Samuel Alexander Gray (1842-1919), beginning in 1861 in the another regiment, while the younger Robert ran the family farm back home, not enlisting for service until the final year of the war. In 1864, Robert was only 20 years old. This article is intended to be another in the Civil War series devoted to our Gray ancestors, especially building on what we knew in “Robert P. Gray in the American Civil War.” Earlier related stories include: “Uncle Samuel A. 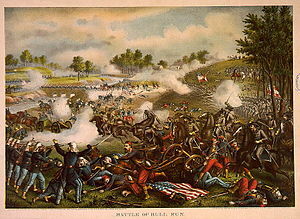 Gray: Part I – The Civil War,” “Uncle Samuel A. Gray: Part II – A Letter from Civil War Camp,” and “Uncle Samuel A. Gray: Part III – Moving West.” In particular, this piece highlights the brief journal that Robert kept from the time of his enlistment in late summer 1864 until the end of the year. By the end of September, the 6th Regiment was detached to guard the Orange and Alexandria Railroad that lay from Alexandria west to Manassas, Virginia, where the two deadly Battles of Bull Run had been fought in 1861 and 1862. I doubt that Robert would have been permitted to keep any kind of daily written records at this tense time. This sort of thing in enemy hands, in the event of capture, would not be good, to put it mildly. However, by mid-November, 1864, Union General Sheridan had given up watching the railway, believing that the Shenandoah Valley was at last safe from Confederate attacks. Called “The Battery,” the regiment probably had six cannon and as many as 144 men led by a captain or lieutenant. All during the winter months of ’64-’65 and until the victories of Grant and Sherman that assured the end of the war in April, the 6th remained on duty in the forts covering the nation’s capital. According to Robert’s journal, his marching orders to go back to Alexandria had come at 2 in the afternoon of November 13. The men rested until 10 that night, apparently preferring to travel in the cover of darkness. Facing a distance of probably more than 60 miles, it’s not clear how far they got by the early morning of the 14th. He writes, “Lay in yard. Soldiers rested til morning. Started on the march for Fort Marcy. Bivouaced in the pines overnight.” Closer now to Union territory, they “started [again] at daylight on [the] march.” His unit finally arrived on the 15th at the fort, apparently half starved and ready for a good rest. It’s also sad to this observer that neither the Thanksgiving nor Christmas holiday meant anything to Robert or perhaps the rest of the soldiers. President Lincoln had taken the occasion of the Gettysburg Address in 1863 to proclaim November 26 as a “National Day of Thanksgiving.” Robert writes on that official holiday that, while it was a “Fine day,” there was “No drill,” just a “Dress parade” at what he calls his “home,” Fort Marcy. Likewise at Christmas, there is no mention of any frivolity or sentiment. He simply pens that it was a “nice day,” that he “turned in” after his usual picket duty,” and that it “rained all night.” On the other hand, one phrase that jumps off the page, on December 26th, is “Savannah taken.” Despite coming off a wet time of picket duty, Robert seems to rejoice at hearing of this milestone in the war. Wikipedia relates that General Sherman’s “March to the sea” began with his Union troops leaving the captured city of Atlanta on November 15 and ended with “the capture of the port of Savannah, GA, on December 21. His forces destroyed military targets as well as industry, infrastructure, and civilian property and disrupted the Confederacy’s economy and its transportation networks.” We must remember that, despite the relatively short distance by water from Savannah to Washington, the important news took 5 days back then to reach these troops. Another positive collection of words includes the charming phrases that Great-grandpap Robert uses, almost playfully, seeming to come when he’s off duty or has a day off; he simply writes, “Nothing adoing” or “Just lying around.” It’s good to hear these indications of apparent joy and relaxation when the tedium of war and weather seems to penetrate every day. As for geography, we assume that the reader knows where Washington, D.C. is located. 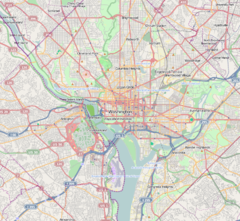 Alexandria, VA, is just south of the Pentagon and Reagan National Airport along the Potomac River. When Virginia went with the Confederacy at the start of the war, Union forces immediately occupied Arlington and Alexandria for the defence of the nation’s capitol. It was near Alexandria in 1863 that Robert’s brother Samuel was held by the Confederates awaiting Parole status. 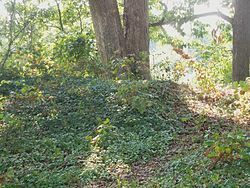 Two earthenwork fortresses were responsible for protecting Washington from the south, Fort Ethan Allen and Fort Marcy. Robert refers to these frequently in his journal. Several other military terms that are used and need to be understood to be appreciated are “caisson,” as on December 24th, Christmas Eve, when Robert “carried shot and shells to fill the caissons. That can refer to either or both the wooden chests that hold the munitions and/or the horse-draw wagons that carry the ammunition chests. Another is “fatigue duty”: labor assigned to soldiers that doesn’t require the use of arms. Robert pulls plenty of pickets, or guard duty, but also his share of fatigue. On December 7 he writes, “On fatigue duty shoveling sand and cutting sod.” Remember that both Forts Marcy and Ethan Allen were earthenworks that required much maintenance, especially in the rainy weather. While we surely will never know all the experiences our Robert had while defending his country, we are glad that he availed himself of some positive opportunities, such as going to church or chapel and even prayer meetings on Sundays. This was a practice that he continued for the rest of his life. On the other hand, perhaps, we read that on November 18th, he “pressed some turnips into the service” at an old blacksmith shop. What could this possibly mean. If I’m reading “turnips” correctly, did it have to do with the root plant? Several days earlier he wrote about being “out of grub.” Was he hungry? Another definition of “turnip” is “a large, thick, old-fashioned pocket watch.” Could this have been a reference to a timepiece? The men of the Pennsylvania 6th Regiment were mustered out from Fort Ethan Allen on June 13, 1865, and returned back to Fort Reynolds near Pittsburgh by rail, where they were released on the 17th. After his honorable discharge that year, about two months after the armistice was signed at Appomattox that signalled the end of the terrible war, we know he returned to West Deer to help his father William, then 49-years old, operate and eventually inherit the family farm. Unfortunately, we hear nothing from Robert again until the turn of the century, after his father has long passed, when he begins ongoing correspondance with his Brother Samuel who, with the help of his military benefits, has taken up homesteading in Missouri. See the 1901 letter and the 1906 letter, for examples. Other recently discovered, transcribed, and posted letters with commentaries include ones to his wife Annie Norris Gray (1850-1922) [letter & commentary not yet posted] back home after he had moved to Florida in 1911 to watch over his real estate investments there; from his sister Martha Anne “Mattie” Edmonds (b. 1853) in Seattle,Washington, as he pays off an inheritance to their unmarried caretaker sister Sarah Jane “Jennie” (b. 1838); and to his oldest daughter Edna Jeannette “Janet” Kellar (1887-1980) in sympathy over the loss of her first child in 1913. 9 – wet and showery? 11 – fine clear day. unpacked at? 12 – came off picket at ? P.3 13 – fair and clear. got marching orders at two o’clock. Started for Alexandria at 10 at night. 14 – arrived at ? at 1 o’clock in the morning. Lay in the yard ? Soldiers rest til morning. Started on the march for Fort Marcy. Bivouaced in the pines over night. P.4 15 – started at daylight on our march. Arrived at Ft. Marcy. Out of grub. Wrote Samuel? a letter. 16 – nothing of any importance happened. 17 – Fair and clear. On fatigue at Fort Ethan Allen. 18 – Wet day on picket. At an old blacksmith shop. Pressed some turnips into the service. P.5 19th – came of[f] picket at 9 o’clock. Cleaned my gun. Went on dress parade. 20th – Sunday. Went to church. Came home and wrote a letter to J. Red? 22nd – Lay round in the barracks. In the evening went out to dress parade. P.6 23 – Fine cold day on picket. Stood out all night. 24 – Fine day. Went to church. Lay round in the afternoon. Went over to Ft. Ethan Allen for dress parade. 25 – Fine day. Drilled forenoon. Went to Ft. Ethan Allen for dress parade. P.7 26th – Fine day. No drill. Dress parade at home at Ft. Marcy. 27 – Very fine day. 28 – Very pretty day. On picket. 29 – Came off picket 9 o’clock. Dress parade. 30 – Fine Day. 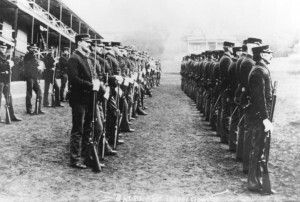 Had inspection [and] dress parade in the evening. P.8 Dec. 1st – Fine day. On fatigue duty. 2 – Wet day. Dress parade in the evening. 3 – On picket duty. Dry and cold. 4 – Pretty day. Came off picket 9 o’clock. 5 – nothing of importance to note. 6 – Wrote a letter. Drilled on the prige [parade?] ground for the first [time?]. Went over to dress parade to Ft. E. Allen. P.9 7 – On fatigue duty shoveling sand and cutting sod. 8 – On picket. Very cold. Lay out on the roadside. 9 – Came off picket 9 o’clock. Cleaned my gun. Went to dress parade. Drilled on the heavy artillery. Commenced snowing for the first [time] about 8 o’clock. Around 3 inches. P.10 10 – Wrote a letter. Got my boots mended. 11 – Foggy and wet. Went to church and prayer meeting. 12 – Fair and clear but very cold. Went out to build a picket house. P.11 13 – Cold day. On camp guard. Wet night. 14 – Came off guard 9 o’clock. Dress parade in the splashing mud and snow. 15 – Cold day out on drill. Dress parade at Ft. Ethan Allen. Wrote a letter to George R. Leslie. 16 – Wettish day. Fired off the big canon. P.12 17 – Had inspection. Foggy and wet. Not much to note. Had headache and sore throat. 18 – Wet day. Staid [sic] in the quarters. 19 – Wet morning. Had inspection. Was not out. Wrote a letter home. 20 – Cold and cloudy. Still off duty. P.13 21 – Snowed last [night]. Wet and sleety today. Wrote a letter. 22 – Nothing adoing today but loafing around. 23 – Fine day. On duty. Dress parade. 24 – Carried shot and shell[s] to fill the caissons. 25 – Nice day. On picket. Turned in. Wet. Rained all night. P.14 26 – Came of[f] picket. Wet day. Savannah taken. 27 – Nothing adoing but lying around. 28 – Had inspection of cartridge boxes. Very muddy and damp weather. P.15 29 – All quiet. 30 – Wet day. Nothing adoing. 31 – On picket January 1st – Fair and clear. Wrote a letter home.